Faith Outreach Church North | We Are Family. You Are Home. We are a second campus of Faith Outreach Church located at Exit 11, which has Pastors William and Ginger Luffman as the senior Pastors. Our Church is Inter-Denominational, Multicultural, Faith driven, and Family First. We believe in the entire Word of God, cover to cover. We offer Contemporary Praise and Worship and a dynamic Children’s Church. Our Vision is to lead the Body of Christ in maturity, wholeness, holiness and empowerment through the preaching and teaching of the complete and uncompromised Word of God. Our Church is located off Trenton Road near Exit 1. Coming from the end of Tiny Town Road, you will turn left onto Trenton Road. Then turn onto Northfield Drive from Trenton road which is located right between the Mcdonalds and Sonic (If you get to the bridge you have gone to far). After you turn onto Northfield Drive, you will continue down the road until you see a welcome sign on the left telling you when to turn to get to our Church, which is actually at the end of a side street on Northfield. Pastor David has been the Associate Pastor at Faith Outreach Church, at Exit 11, since 1999. 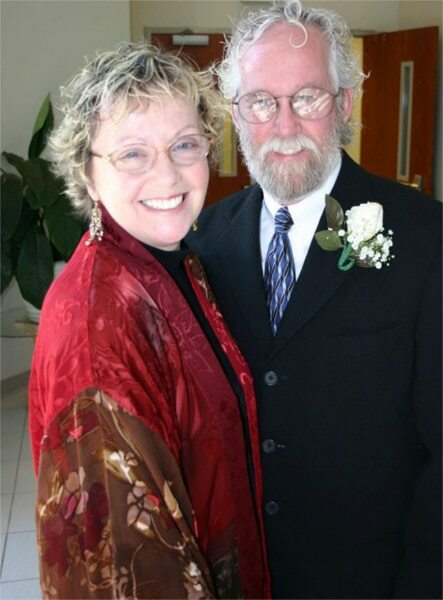 Pastors David and Barbara Wesner were appointed to be Co-Pastors at Faith Outreach Church North in August of 2013. They have a heart for their Church members, and have a passion to see them grow in maturity, wholeness, and holiness while being empowered by the preaching and teaching of the complete and uncompromised Word of God. They grew up in the Clarksville/Ft.Campbell area and both graduated from Clarksville High School as well as from Austin Peay State University. They both got their Masters Degrees from the University of South Carolina. The Pastors lived in NYC for 15 years, where they ran the only full time Christian Theatre in NYC from 1992-1995. They returned to Clarksville in 1995 to care for their elderly parents. They were first called into Ministry in 1986, and attended Bible School in NYC where they were Ordained in 1991. Pastor David is a Vietnam Veteran, and serves as the Chaplain for the Montgomery County Veterans Treatment Court. He is also a retired, tenured professor at Austin Peay, still teaching as an Adjunct Professor. Pastor Barbara is the Department Chair of the Fine Arts Department at CHS, teaching Theatre. The couple has been married since 1968. You can contact us by calling the main campus of Faith Outreach Church. We believe prayer is one of the most important aspects of a Christian’s life. We want you to know that we take your prayer needs very seriously. We promise to stand and believe with you in everything you are praying for. Our God is an awesome God. He is a miracle working God. With God ALL things are possible! Your prayer request will be kept completely confidential. No one needs to know anything about your request except the Pastors, the Prayer Team, God and you! That is the way we will keep it. Love that the Spirit of God has His way, and that Pastors Dave and Barbara wear the pastor mantle very well. They are both so loving. It is a loving church where the HOLY SPIRIT lives!!! Anointed, appointed, equipped, & called by God. If you are seeking God and you want to receive sound BIBLICAL teaching, this is the place for you. A family from your church stopped me at the Speedway gas station and handed me a box of food on behalf of your church with a simple and glorious "Merry Christmas". I am holding back the tears as I say "thank you" ...for representing HIM, here. Abundant love to you all!